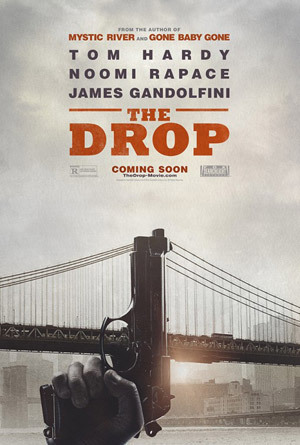 Tom Hardy, Noomi Rapace and James Gandolfini star in the crime drama The Drop, based on the short story ‘Animal Rescue’ by Dennis Lehane (Mystic River, Gone Baby Gone). Watch the movie trailer below. Brooklyn bartender Bob Saginowski (Hardy) must recover stolen “money drops” from his bar when local gangsters involve his cousin Marv (Gandolfini) and Nadia (Rapace), a mysterious woman hiding a dark past.